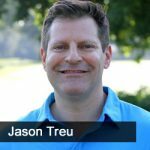 In this 10th episode, Jason Hartman goes off topic with Jason Treu, author of Social Wealth: How to Build Extraordinary Relationships by Transforming the Way We Live, Love, Lead and Network. The two discuss ways that you can improve your social worth, expanding your network by focusing on others rather than on your own self. The two look into the potential power of mastermind groups or just an informal get together, as well as why you should never let your network become stagnant.